Well, I said the last book ended on a cliffhanger, and I'm happy to say this next installment delivers with the answers to all the questions, or at least, all the questions left unanswered in the previous book. Harriet has finally returned to Buckshaw, to be put to rest. Obviously things are not normal for Flavia at home, as things are finally being brought to a close. Buckshaw has become a place of renewed mourning, with villagers coming for viewings and the de Luce family staying up to watch guard over Harriet. To add to the chaos, some estranged cousins show up at their doorstep on the day it all begins, a Lena de Luce and her daughter. To cap it off, a man falls under the train at Harriet's arrival under mysterious circumstances after giving Flavia a cryptic message. More is at stake than ever for Flavia and her family as she begins to uncover the circumstances leading to her mother's death. Alan Bradley, you are awesome. I am so happy I got to read this book sooner rather than later, as I've been waiting for it to come out since I finished Speaking from Among the Bones last year. This didn't disappoint. 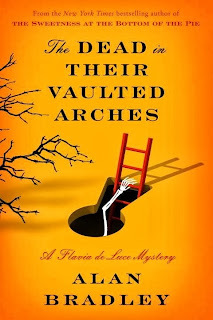 Flavia, through chemistry, luck, and ingenuity, works through long-hidden clues to find out what exactly happened to her mother all those years ago. 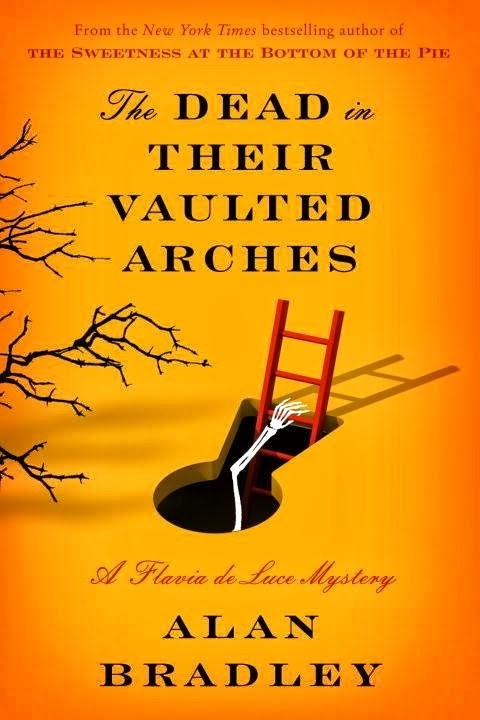 The answer is buried deep, with plenty of intrigue and espionage going on. I'm looking forward to where we'll meet Flavia next, as Bradley seems to have decided to move the series in a different direction, which isn't necessarily a bad thing. I am hoping for exciting things for Flavia, and I hope I'm right. Disclosure: I received an e-galley of this book from NetGalley. I love it when a book actually answers the questions made in the last book. It is sad to say that this does not always happen in books (or TV shows) anymore. I have this one, but I'm trying to catch up. I just read I am Half-Sick of Shadows -- great for Christmas time, but I need to hurry up! Can't wait for more Flavia! You'll get there! You're lucky you don't have to wait for this one after reading Speaking from Among the Bones.